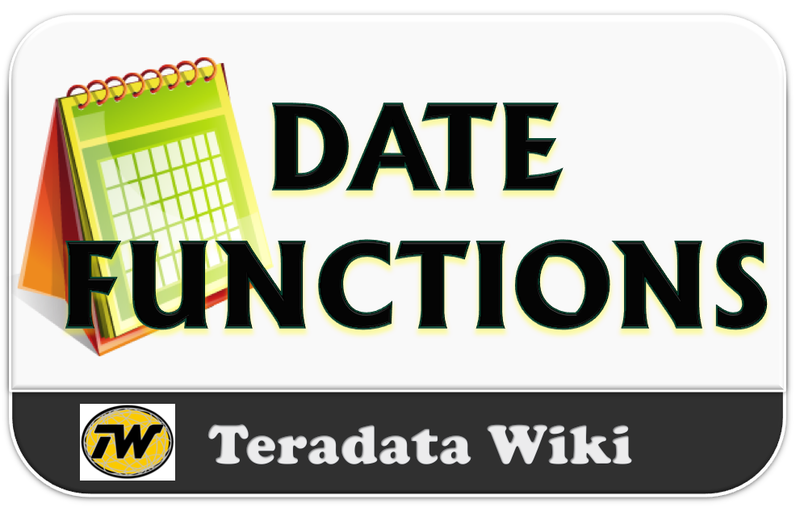 As part of Domain Specific Functions Teradata database 14 has released new DATE functions. Below re list of function. TO_DSINTERVAL Convert a string value into an INTERVAL DAY(4) TO SECOND(6) value. TO_YMINTERVAL Convert a string value into an INTERVAL YEAR(4) TO MONTH value. MONTHS_BETWEEN Return the number of months between two date/timestamp values. OADD_MONTHS Add a specified date/timestamp value to a specified number of months and return the resulting date. TO_DATE Convert a string into a DATE value via a format string. TO_TIMESTAMP Convert a string into a TIMESTAMP value via a format string. TO_TIMESTAMP_TZ Convert a string into a TIMESTAMP WITH TIME ZONE value via a format string. TRUNC Returns a DATE value with the time portion truncated to the unit specified by a format string. ROUND Returns a DATE value with the time portion rounded to the unit specified by a format string. The above functions can be helpful while adding to any date columns. The date was rounded to the first day of that week. Since the day is greater than or equal to 16, the date is rounded to the beginning of the next month. Thanks Anil.!!! Its GREAT. Examples always makes the explanations little more perfect (and helps in better understanding). Thank you! This helped me quickly before a meeting to propose a solution.